High water levels in Scandinavia provide Nord Pool Spot with cheap hydro-generated power and leave Russia at a competitive disadvantage. 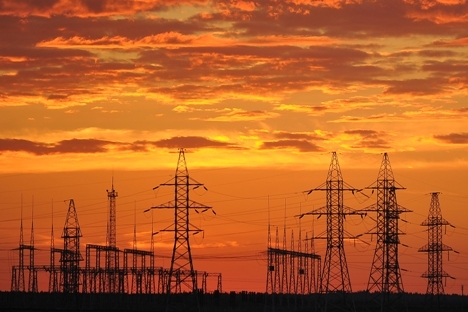 Russia’s electricity exports are in decline for the fourth consecutive quarter. A contributing factor are the high costs for electricity at home and Nord Pool Spot's cheaper prices. The Scandinavian Nord Pool Spot has started to affect electricity prices in Lithuania, the second most important export market for Inter RAO (the Russian company holds a monopoly on the domestic import-export market). According to Russia’s Federal Customs Service (FTS), total first quarter exports amounted to $278 million, down almost 17 percent from last year. Exports to Finland, Inter RAO’s key foreign market, have been dropping sharply since 2012. While this was offset by rising exports to Lithuania, Belarus and China, overall deliveries abroad declined 19 percent in 2012 to 18.4 billion kWh, with exports to Finland decreased by 60.6 percent to 3.8 billion kWh. Inter RAO says high water levels in Scandinavia have created excess supplies of cheap hydro-generated power in the Nord Pool Spot market, leaving Russian electricity prices high by comparison ($48/MWh vs. $65/MWh). Exports to China, the only major export destination, have increased by 116 percent to total 882 million kWh for the first quarter. Meanwhile, Russia’s electricity imports keep growing. According to the FTS, imports have increased by 2.5 times in the first quarter of 2013 to 995 million kWh. Most of the electricity comes from Kazakhstan.